The world's first flat-pack truck doesn’t take much longer to assemble than an IKEA couch. Auto Express reports that the two-wheel drive vehicle, called the OX, takes only 12 hours to put together and can haul up to 4189 pounds of cargo in its load bed. Designed by Gordon Murray and commissioned by Sir Torquil Norman of the Global Vehicle Trust (GVT), the OX was created to be rugged enough for off-road adventures, cheap enough to be widely affordable, and compact enough that it can be easily shipped in large quantities overseas. While the OX could easily find a home wherever there’s a market for affordable vehicles, it was designed specifically to help with transportation problems in more remote parts of Africa and Asia where cars are in short supply. GVT hopes that the OX will not only ease transportation problems but also create jobs in their destination countries, where local companies will be employed to assemble the vehicles. Packaged and shipped in much the same way as traditional flat-pack furniture, the OX truck kits can be built quickly by groups of three people. 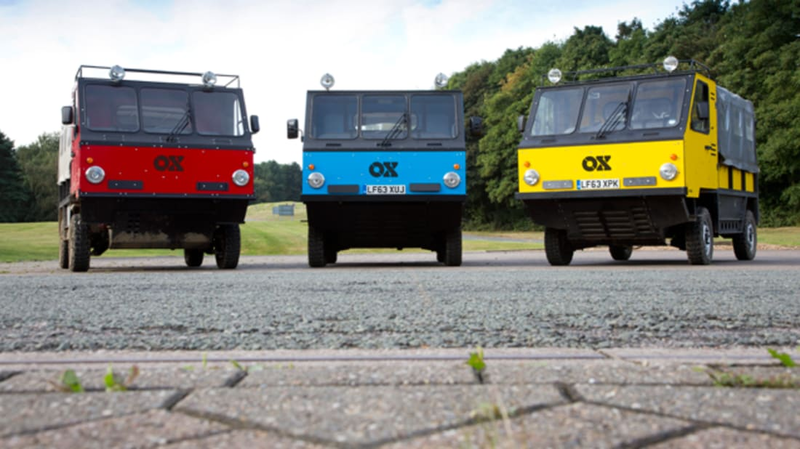 Six OX truck kits are compact enough to fit in a single shipping container. Designer Gordon Murray, who is best known for engineering the McLaren F1 sports car, told Auto Express he sees the OX as his greatest design achievement.